FH Estates and Fred Hickey take great pleasure in introducing to the market No. 35 The Wood, Crinken Glen, a well presented mid terraced property with a driveway and gardens to the front and rear. This home offers the discerning purchaser a unique central location in the heart of Shankill village within walking distance to an array of local services and amenities. 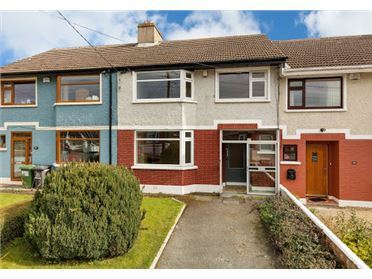 The property is sure to appeal to first time buyers, those trading down and investors alike. The bright and spacious accommodation comprises entrance hall, living room with double doors to the open plan kitchen/dining room. Upstairs there are 3 well-proportioned bedrooms two of which are double with built in wardrobes and 1 single bedroom and a family bathroom. Shankill is an attractive coastal village approximately 18km south of Dublin City Centre and it has an abundance of local services and amenities together with excellent transport links make it a highly desirable and attractive place to live. Crinken Glen is a well-established residential development of semi & detached houses and bungalows situated close to the heart of Shankill. Nearby is the excellent Shanganagh Park with numerous sports fields and playground. The village has a good selection of shops to include pharmacies, convenience store, post office and take away restaurants. Dublin Bus and Aircoach bus services provide access to Dublin City and Airport and the Dart is also close by. The Luas is also convenient at Bridesglen or Cherrywood stations. 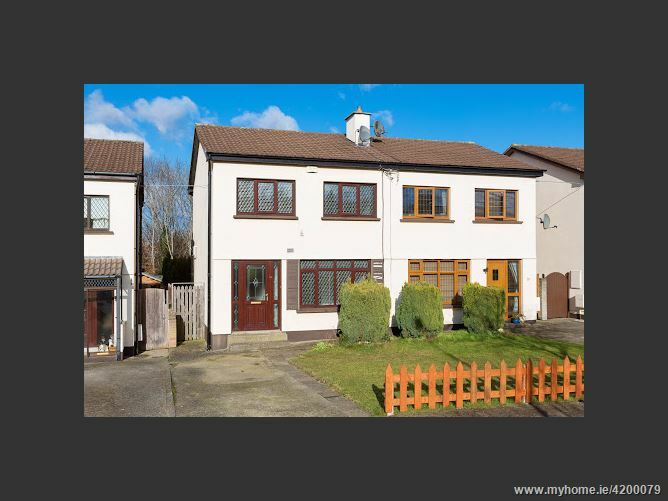 35 The Wood, Crinken Glen, Shankill, Dublin 18.